Hi all. I am, of course, in. So, good luck and happy modeling! Nice choices guys, looking forward to seeing everyone's builds! 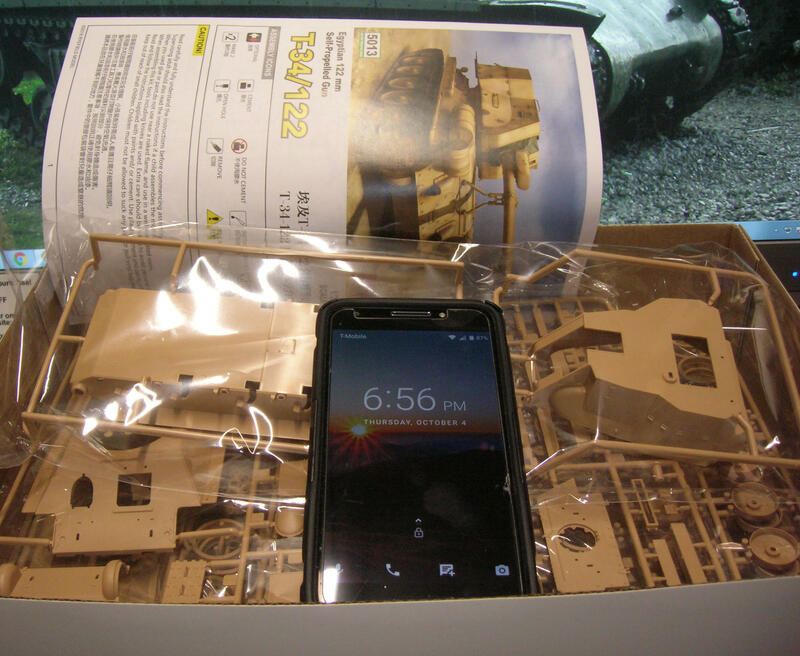 So I'm in, when the kit arrives. 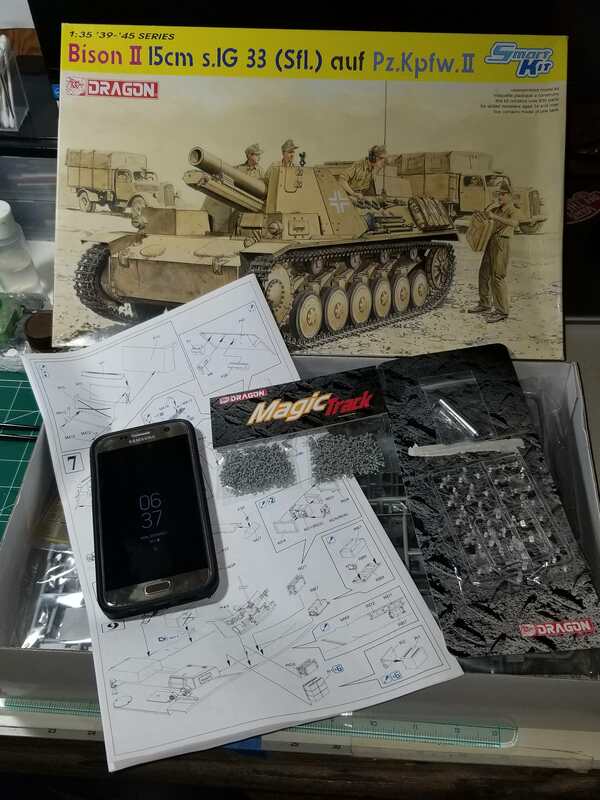 Im in with Dragons 6440 Kit. 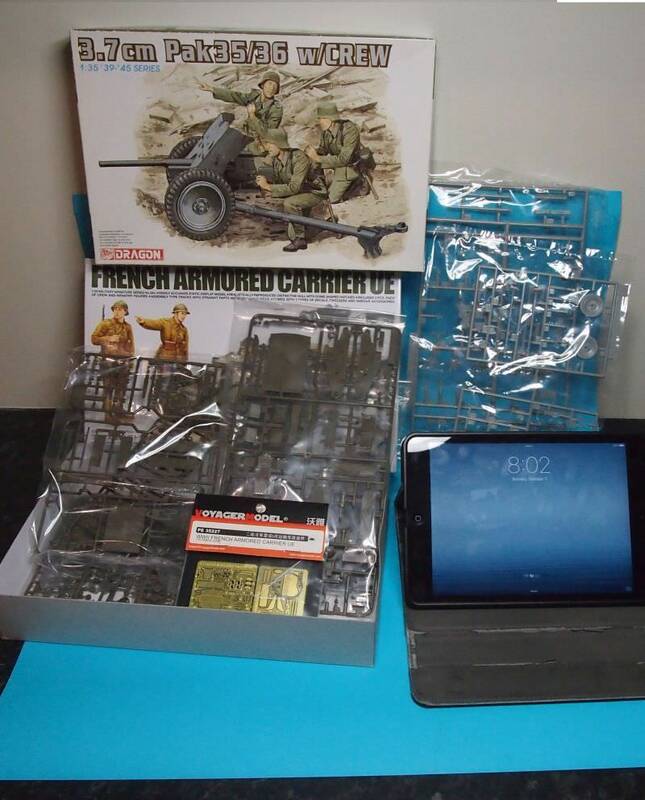 For all the guys building the Dragon 1/35th 'Bison 2'. Dragon only provides you with one radio rack not the two you need. 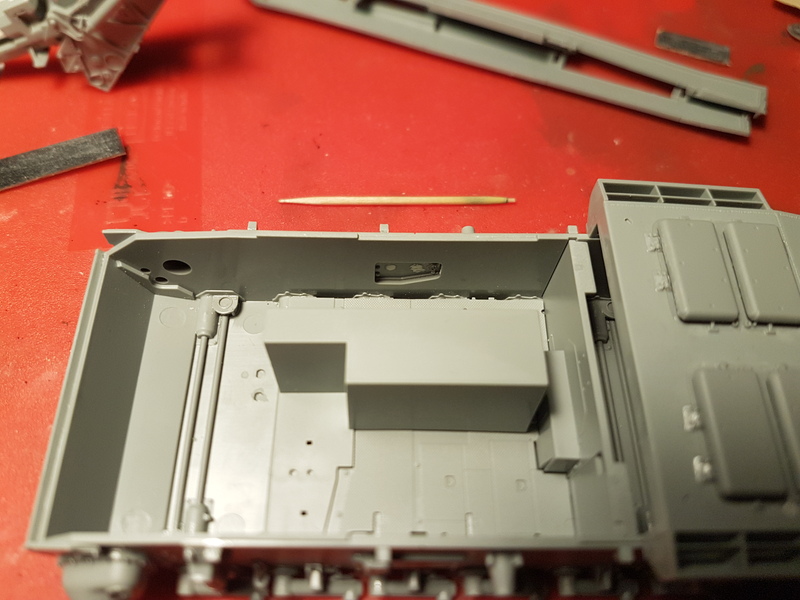 However, if you have a Marder 3 Ausf M kit Initial Production in the stash, it comes with the same 'RA' or 'RB' sprue (can't remember which) that you need and you do not need the rack for the Marder.... saves scratching one up. 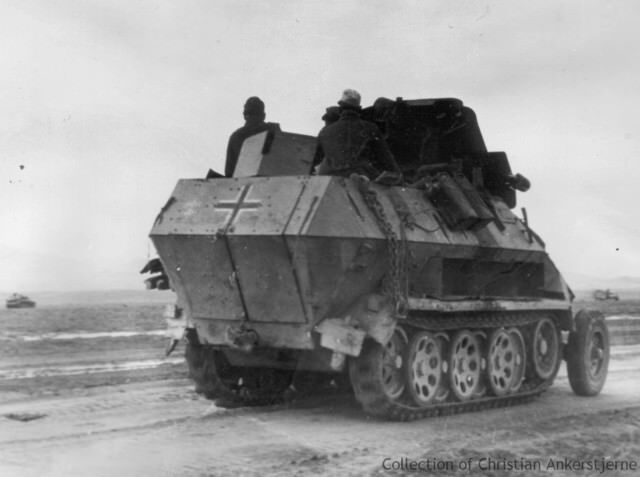 Academy's old Panzer IVH is considered amongst the worst in terms of accuracy. 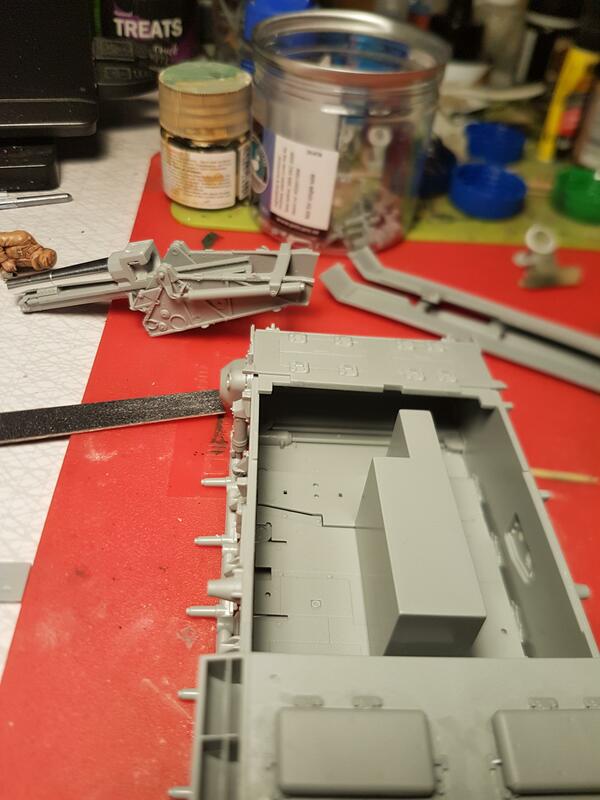 Gun will come from unfinished SU-76 SPG.Some turret parts will be scratchbuild. Here it is! First impression, SWEET! 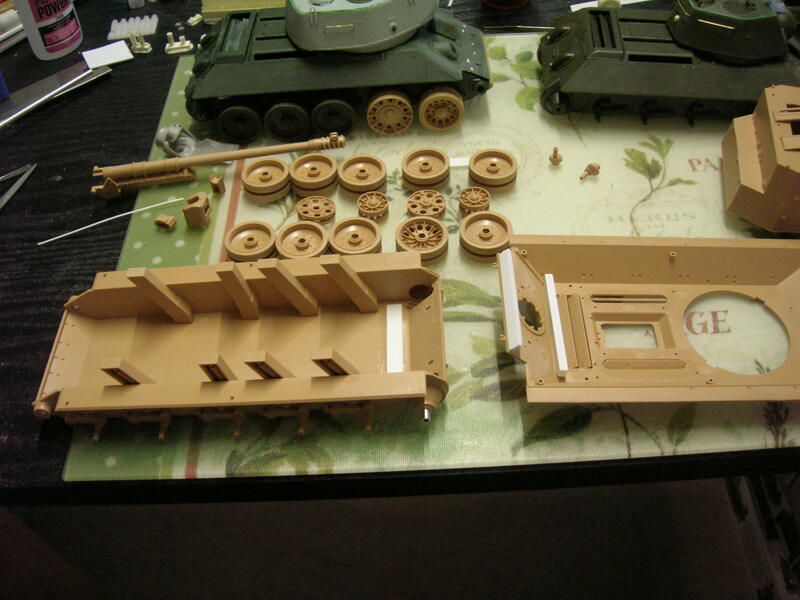 If the beautiful molding is matched with ease of assembly and fit then I'll be really happy. 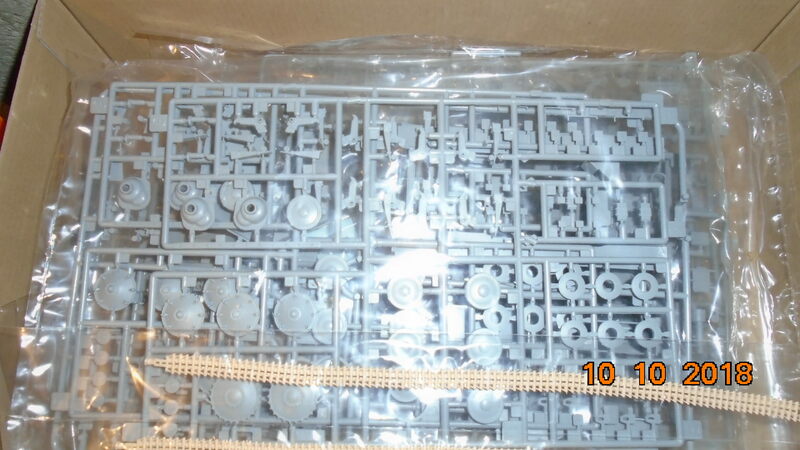 From the sprues there are at least 2 more kits coming. 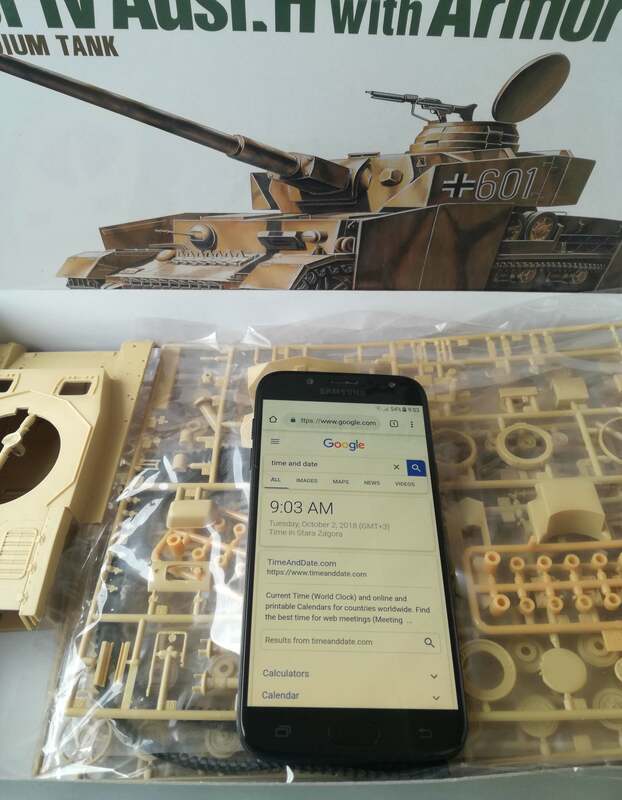 I'm guessing a normal T-34/85, and maybe a mine roller version based on the unused locating holes inside the hulls. I really like how they did the engine deck. Nice Choice Angel. A friend of mine did one of these a few years back. He depicted it still half buried in the original revetment. He had some reference pics of it before it was removed. A little progress. 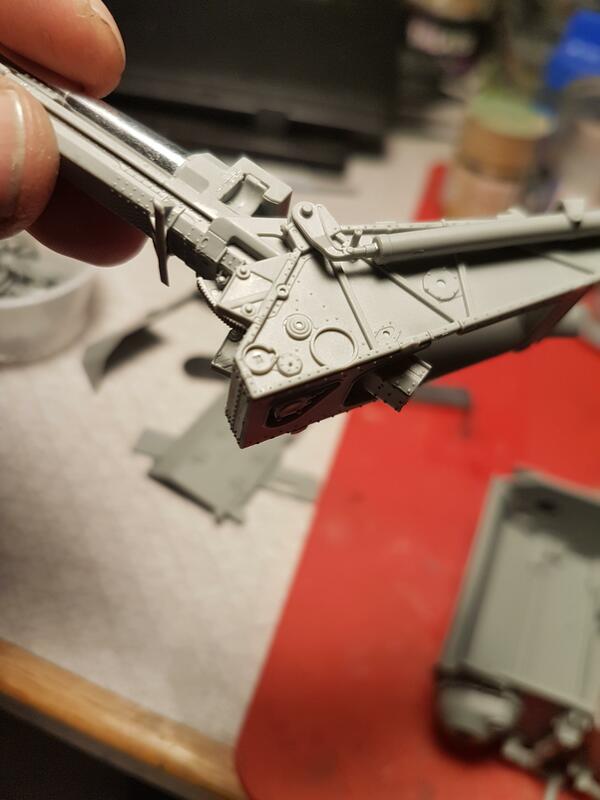 So far the kit has the usual glitches at the rear hull. Nothing a little care won't fix. The turret looks huge on the hull, and RMF decided to make the wheels with separate rubber, and there is a gap on each of the three wheels I've test fitted. I got the springs mixed up on two of the mounts and had to pop them off. One is a little shorter than the other and I didn't pay attention. The kit plastic has a Tamiya feel to it and glues very well. So far I'm happy, except for the wheels. Nice Randall. 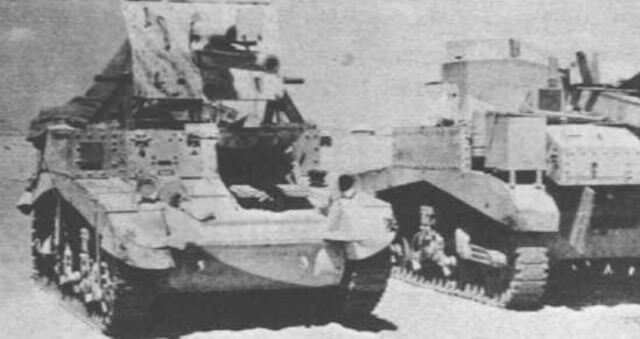 Separate tyres reminds me of Dragon's Panzer IV's and AFV Club's Centurions. 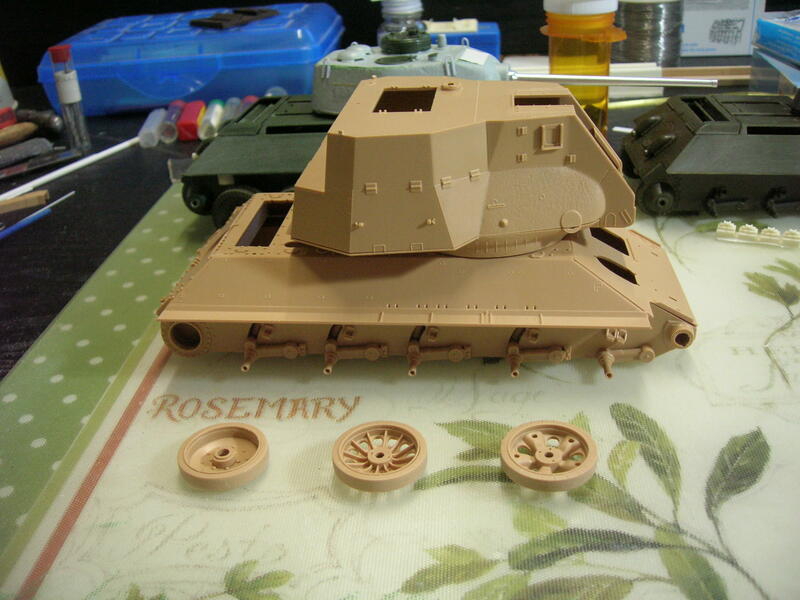 I bought resin replacements for the AFV club rubber ones. The lower hull is 95% done. The kit has a poor attachment to the drive sprockets so I drilled out the sprockets and final drives for a metal tube. By comparison the road wheels and idlers have nice long sturdy mounting shafts. Work has started on the gun. So far it has posed nothing unexpected and just a little super glue filler on the breach. 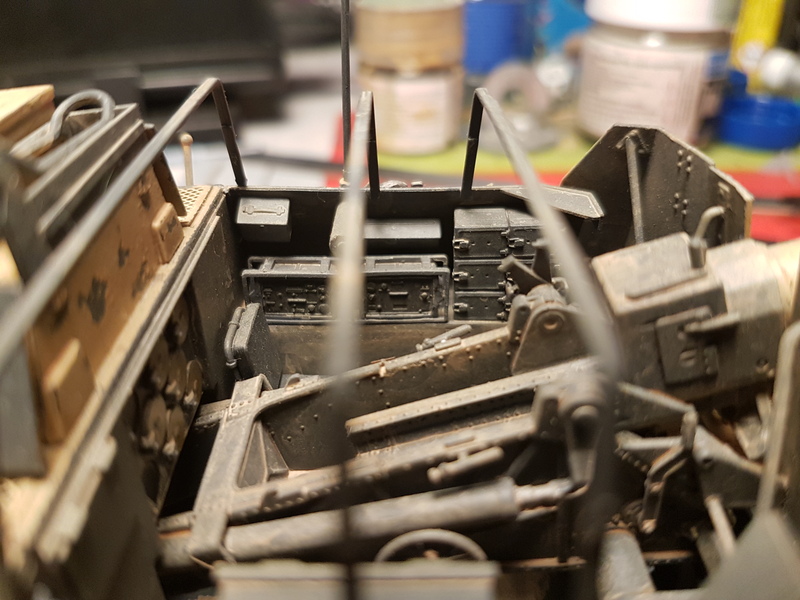 The strip in the lower hull is there to line up the rear hull a little better. 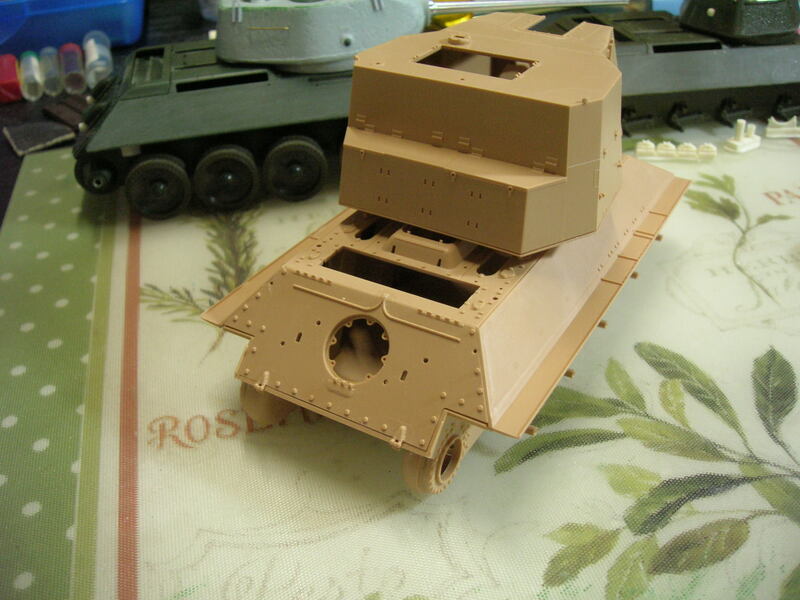 On the next RFM T-34 I do I will wait until the hulls are glued together before adding the rear. Strips in the upper hull are there to flatten the upper hull rear edge, and to add some strength to the glue joint to the rear hull joint. I will start the campaign with Dragon 6721. 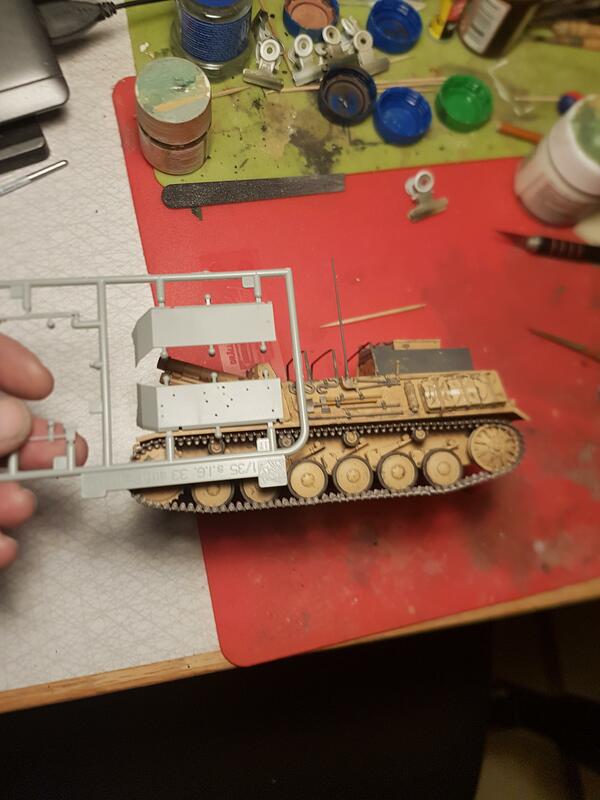 It is field conversion of an Panzer II with a Marder-inspired casemate structure attached. Here are the starting photos. If I can manage on time, I will add two more models to the campaign (Bison I and II). The first one is in the initial stage of assembly, and the second is expecting some extras. Success at all and enjoyable fun. Welcome Kalin. Colorization of your photo opens up interesting weathering subject. I am already stuck with my build. Dragons idea of this vehicle interior is killing me. There should be a seat and two levers and that's it. Gun placement is even funnier - box with a gun on the top. 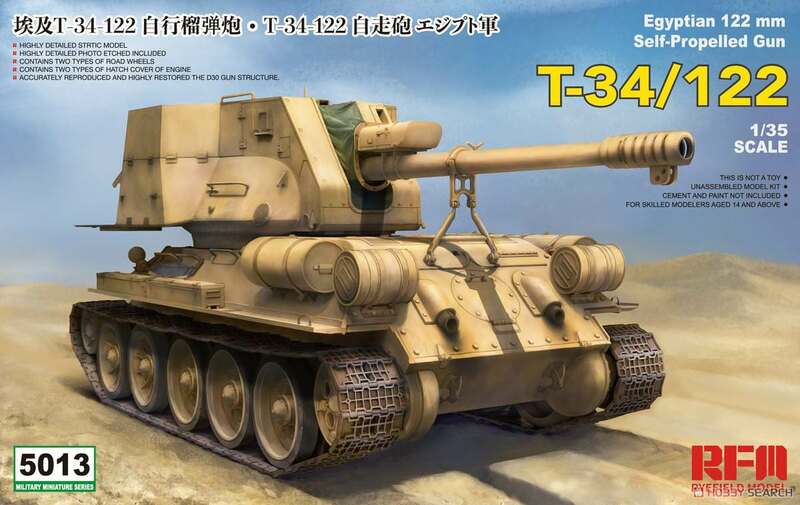 So, traversing of the gun was done by rotating the tank?! And lifting the barrel all the way up is impossible because cradle is hitting the box. I understand that, by lacking data, they made simple solution and left us to deal with how gun was actually positioned, but missing gearbox and rest of interior is really sad. So, now I have to order transmision and to see what to do with the rest. Also, I am bothered by the idea that they removed top of fighting compartment. 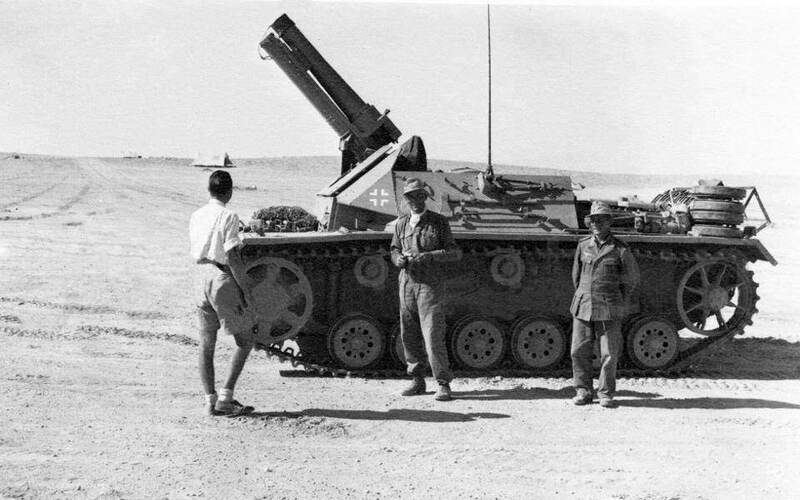 How do you cut thru 30mm if steel in the middle of the desert? To add to my problems, where ever I look it's said that this is one off vehicle. But actually it seems that there are two of them. And this one, which should be funny looking, too. 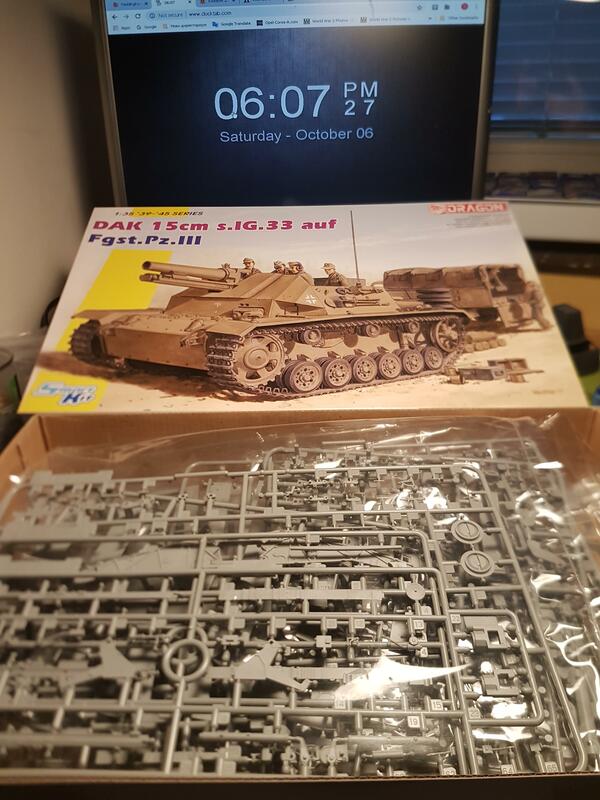 So, which one to build? Or both of them? and changed front plate, which is the main difference on two photos. 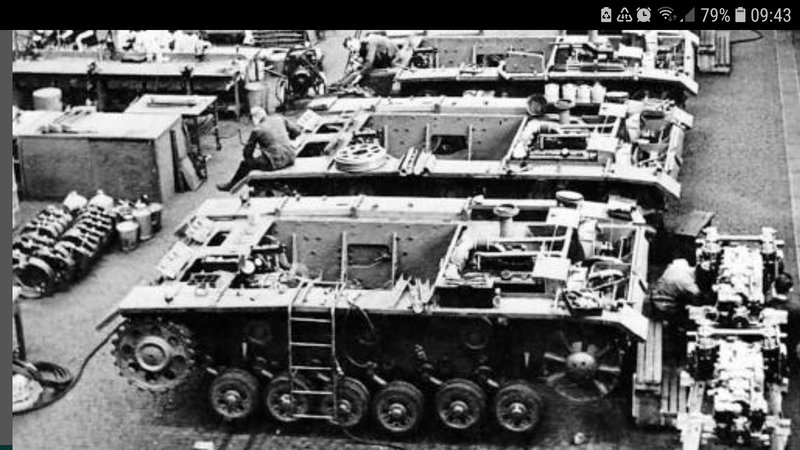 Does anybody knows how was upper and lower hull connected? It can be one off at the and... You see my problems now... Any ideas? The upper hull bolted to the lower hull. Cutting 30mm with a torch would be the preferred method at the time. Not that hard for an experienced repair crew. Bogi, I suspect after taking a good look at your two pictures that both are of the same conversion. The lower picture being taken earlier when they first tried to put the gun on the hull. The upper is later after a few more changes. Those big cylinder hanging out the back of the ex-British truck look like Oxy/acetylene cutting gear. Having gone through welding classes, I see everything they need to cut/weld and fabricate metal. Now I'm curious what they used for the add on side plates. Plates from a wrecked armored car or half track? It looks like a fun project, I might force myself to find one of those kits. 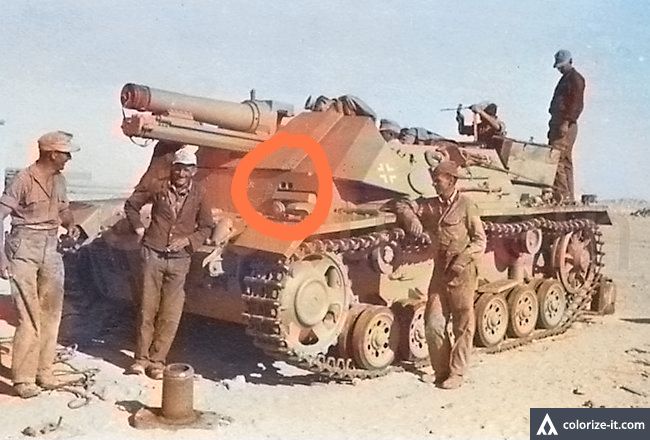 And reason why I think that it's a different tank is this two holes. They are not in the same place. 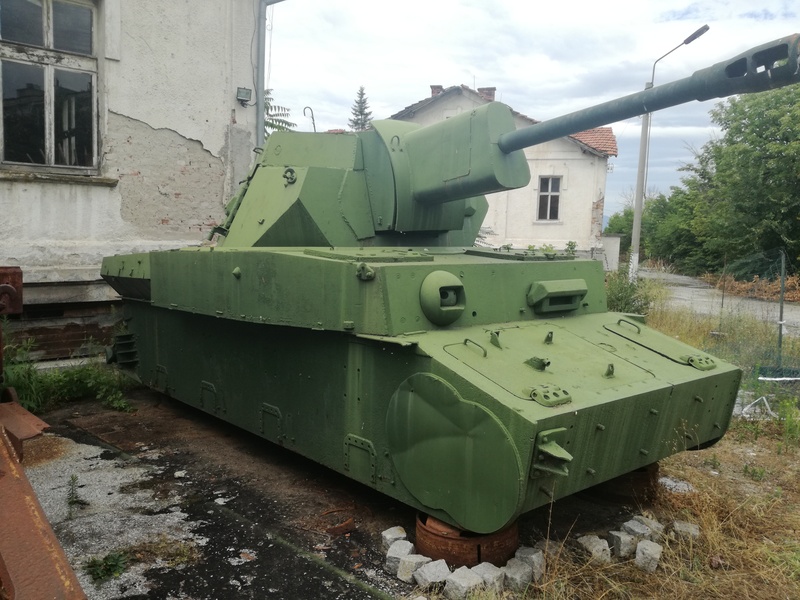 So, it's ether two tanks or they unscrewed upper hull, cut front part behind side windows from another tank and bolt it to this one. I don't see other reason for taking fenders off. Here is the other plate. It looks like there is some damage on it. Maybe, at the end, they only changed front plate. But again, why taking fenders off?! Ah, the side plate is from the Bison! So it all makes sense. 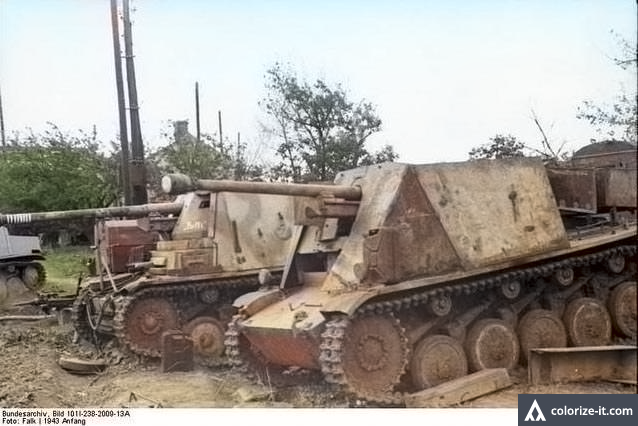 A damaged PZ III upgraded with parts from a damaged Bison. 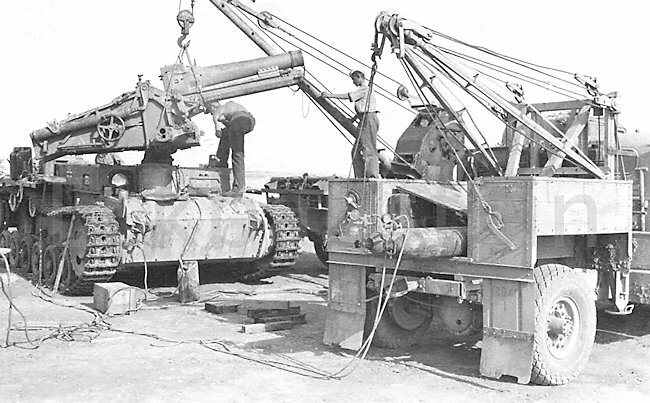 If the PZ III was being rebuilt in a work shop the fenders could have been removed to get access to the hull. The front return roller is missing on the right side. The drivers visor was moved over for some reason but they did not move the driver periscopes. That is a strange conversion. I think Dragon didn't make an interior because they had no idea what was in there. My guess now is everything from the Bison. 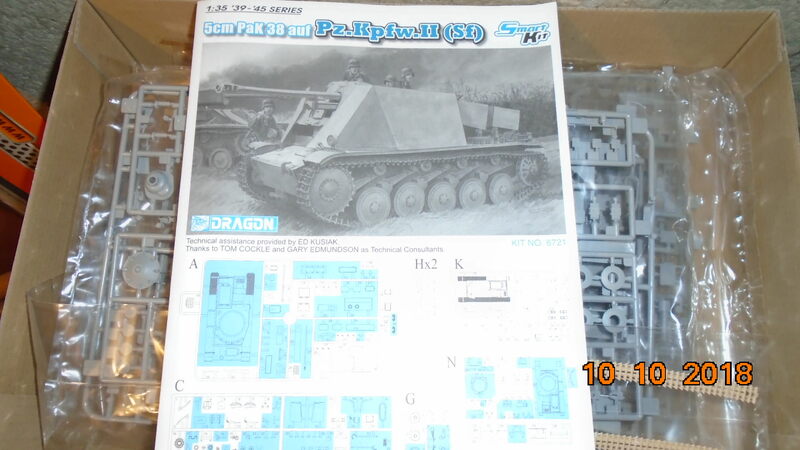 Everything you will need not ex-Bison should be coming with the PZ III interior kits Dragon has coming. Great stuff so far guys! Randall tells the truth when he mentions acetylene cutting gear. If I'm not mistaken, they are in the tool kit of the field repaired troops. 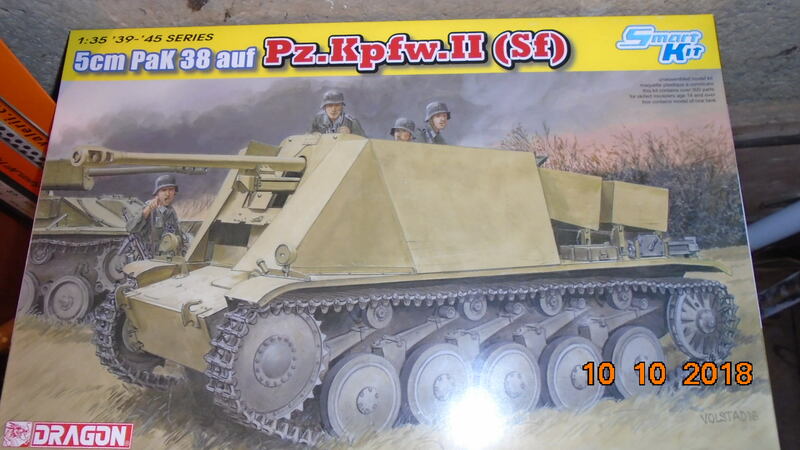 As for the Dragon models, they did not make the interior of Pz.Kpfw.III unless we remember their latest models. Why do not they do, I do not know. 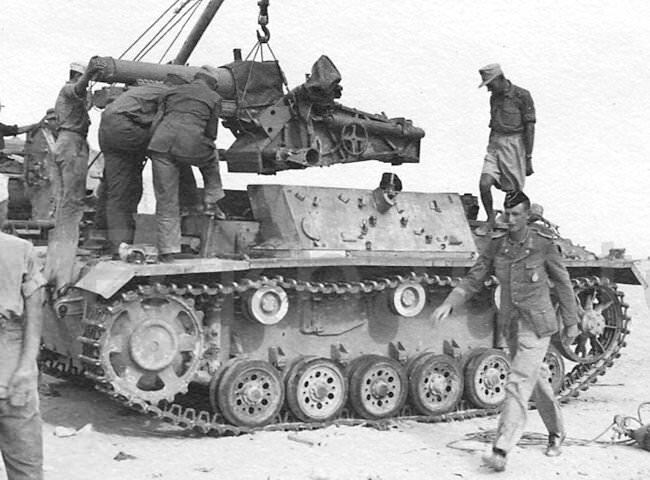 In my opinion, the cannon at Pz.Kpfw.III conversion should be the same as in Bison II (two wheelchair supports). I decided what will I do. I will cut the sides, and one more reason to do that is radio. In any case what is inside is "what if" so - let's play!